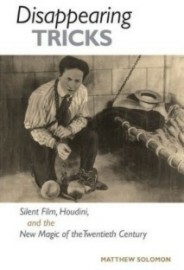 Warm congratulations to Matthew Solomon and University of Illinois Press for his book Disappearing Tricks: Silent Film, Houdini, and the New Magic of the Twentieth Century, which has just won the Best Moving Image Book Award at the prestigious Kraszna-Krausz Foundation book awards. The biennial awards, established through a bequest by Andor Kraszna-Krausz, the founder of Focal Press, recognise books on the moving image and photography that have made original and lasting educational, professional, historical and cultural contributions to the field. A fascinating enquiry into the early history of film, especially as it involved magicians and magic tricks. Matthew Solomon explores spiritualism and suspension of disbelief in a compelling investigation of the integration of cinema into mainstream entertainment. So an important vote for publication on silent film, which joins previous such winners of the award, Writing Himself into History: Oscar Micheaux, His Silent Films and His Audiences by Pearl Bowser and Louise Spence, The World According to Hollywood, 1918-1939 by Ruth Vasey, Hollywood’s Overseas Campaign: The North Atlantic Movie Trade, 1920-1950 by Ian Jarvie, and Walt in Wonderland: The Silent Films of Walt Disney by Russell Merritt and J.B. Kaufman. Ours are the best form of movies and the best books about movies, clearly. 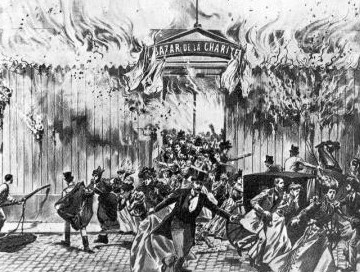 Matthew Solomon’s latest book, Fantastic Voyages of the Cinematic Imagination, on Georges Méliès’ Trip to the Moon, was published recently.